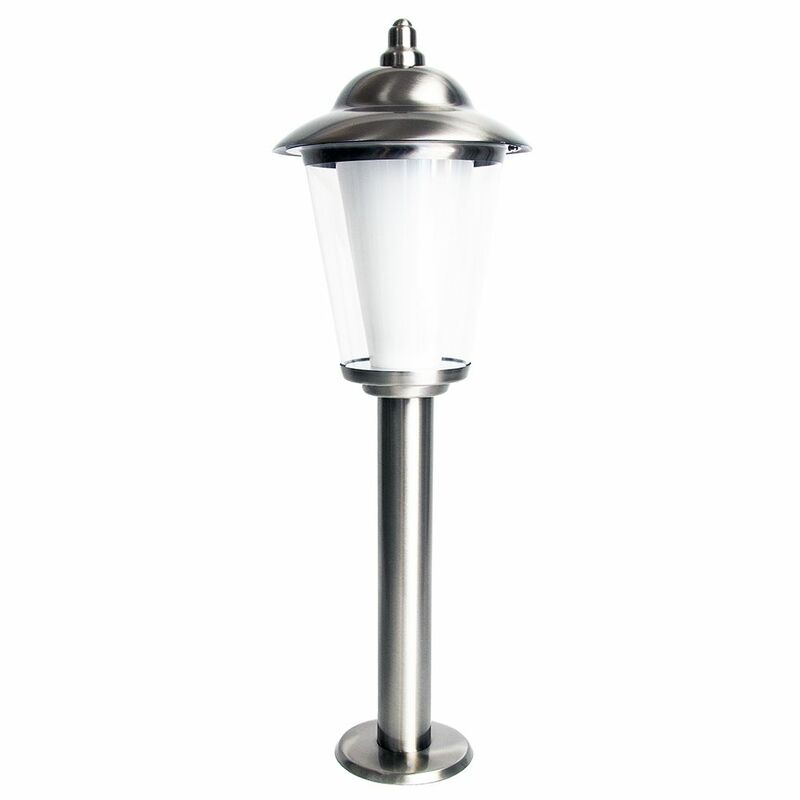 Modern and uniquely styled stainless steel outdoor IP44 post/bollard LED lighting fixture. 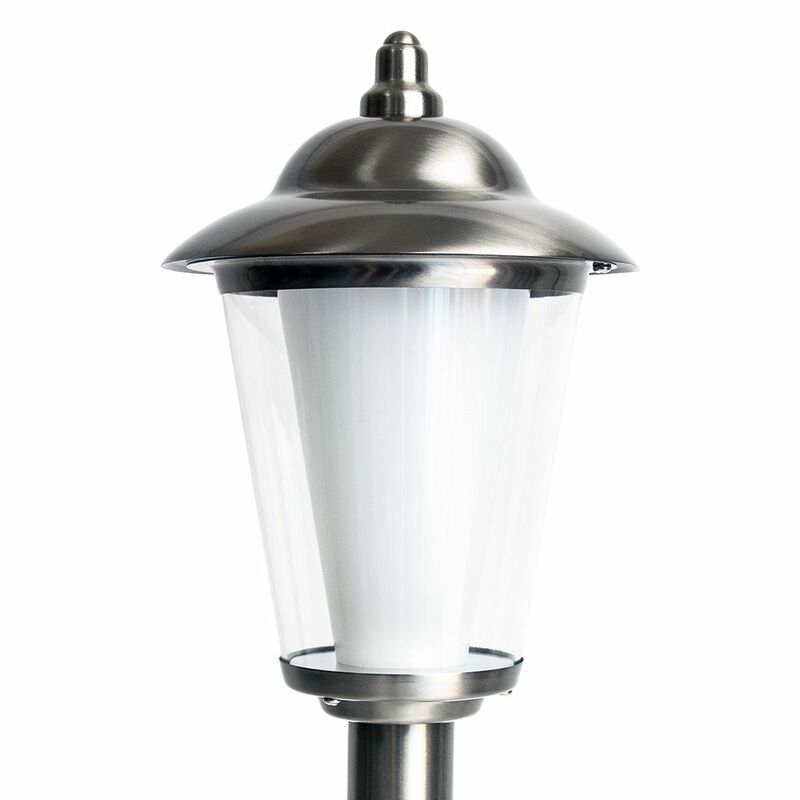 Features clear outer polycarbonate shade protector and inner opal white diffuser. Total product measurements: Height: 50cm, Width: 17cm, Depth: 17cm. Includes 1 x 8.2watt (300 lumens) SMD LED board complete with 1 year guarantee. This fitting is IP44 rated and comes complete with 5 year guarantee against corrosion (excludes coastal areas).